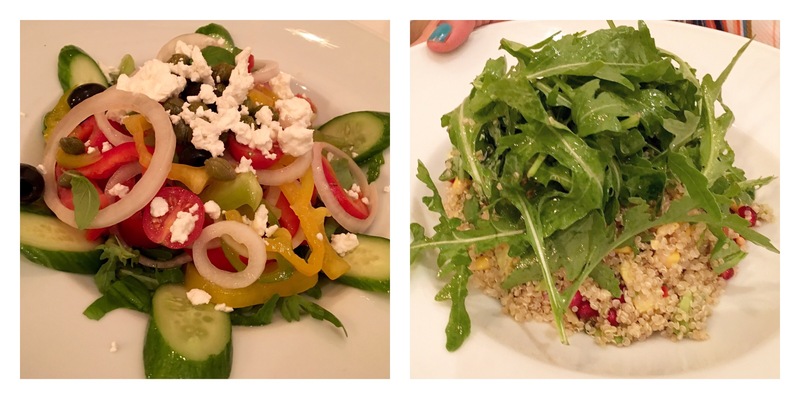 Recently, I was invited to a ‘Bloggers Night’ at Joey’s Mediterranean & Seafood Restaurant. It was a great night with live music, delectable food, good cocktails and lively atmosphere. As I was asked to get my friends along, I rounded up couple of my friends and landed at Joey’s at 8 in the night. 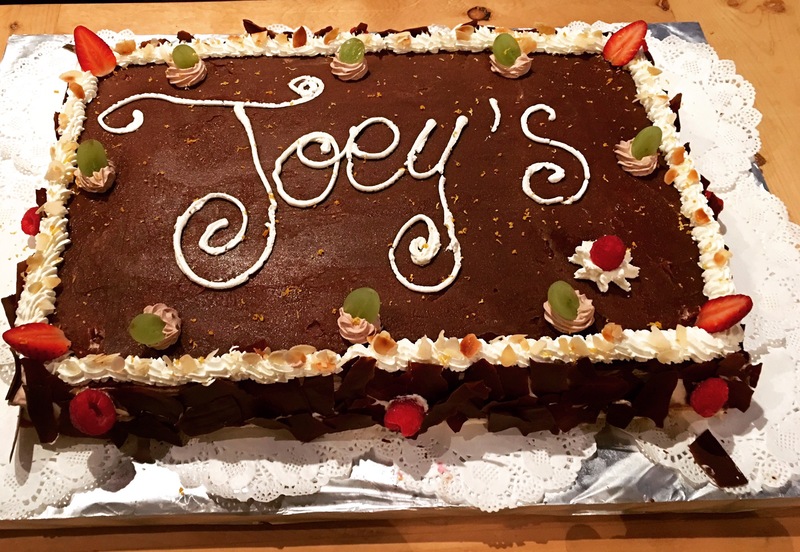 Located in Century Village at Garhoud, Joey’s offers Mediterranean food. They serve a good variety of seafood too. Their food menu is small and sleek, makes it easy to order. Joey’s drinks menu is impressive with a wide range of cocktails, mocktails, wines and other spirits. 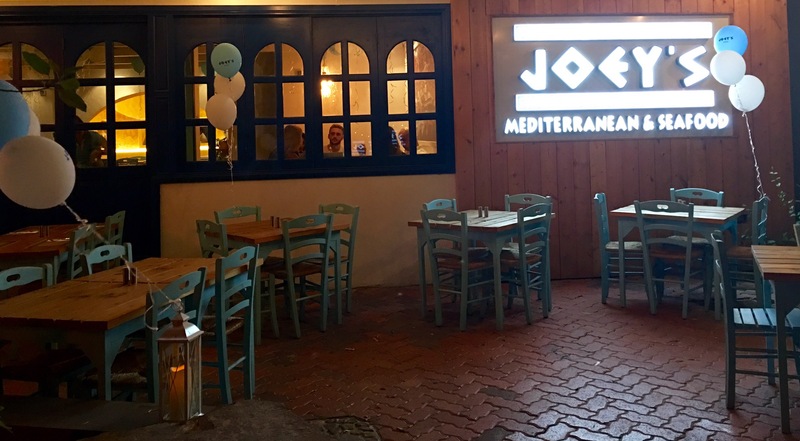 The decor of Joey’s is beautiful-tastefully done up in white and blue, it reminds me of a Greek taverna in one of those gorgeous Greek islands. Loved the cosy seating area, paintings of Greece on the walls and dim lighting. It is a perfect set-up to hang out with family and friends. Joey’s offers both indoor and outdoor dining space. The outdoor dining area is cute, I would love to come back in winter for al fresco dining. On that night, there was live music, which enhanced our dining experience. We started off with a round of drinks. We were offered Blueberry Fizz and White Wine Sangria. 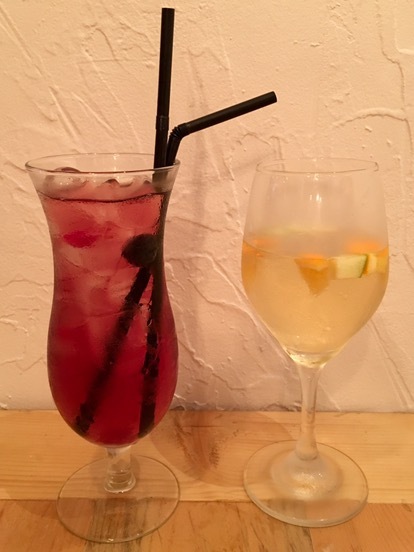 Both our drinks were light, refreshing and tasty. We also tried a vodka based cocktail called The Mediterranean Current and it was amazing. 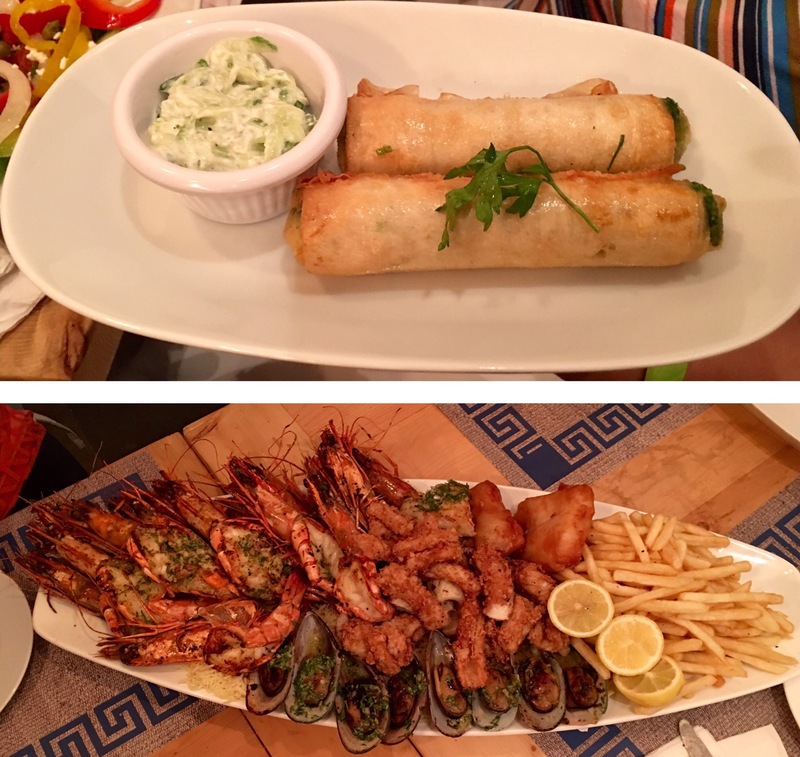 Being a vegetarian, I tried all the vegetarian food and my friends enjoyed the Seafood Platter. Greek Salad was freshly made and had the authentic taste. Quinoa Salad had avocado, pomegranate, sweet corn, pine nuts, parsley, shallots and garlic in a lemon honey dressing. It was fantastic. Cherry Tomato Bruschetta was served along with basil mayo. We liked it. Zucchini Halloumi Fritters was served with the popular Greek dip/sauce Tzatziki. We would have liked it better, if it was more crispier. The Tzatziki was perfect. 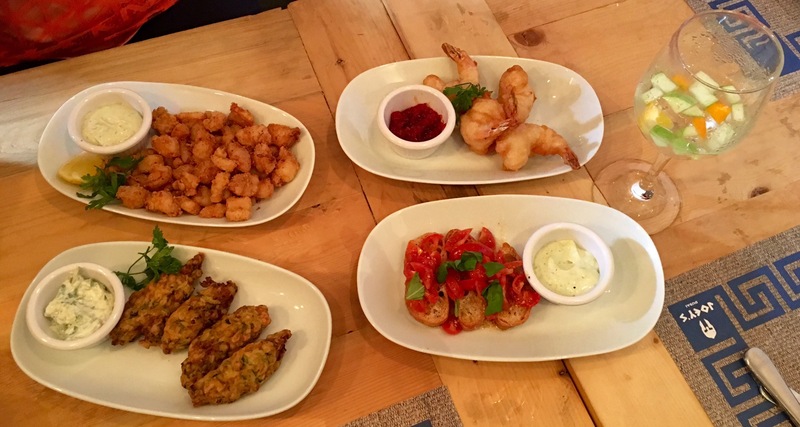 Fritto Misto had small nibbles of coated seafood, served with a basil mayo. My friends really enjoyed this starter. Tempura King Prawns was served with Chili jam. The batter was thickly coated and not flaky. They felt that it would’ve been great if the prawns were deep fried in a light batter. Spinach Rolls were excellent. Filo pastry sheets filled with spinach and feta cheese were rolled and fried to crisp perfection. It was served with Tzatziki dip. Seafood Platter had a huge portion of King prawns, Mussels, Calamari and Cod Fillet. It was served with 4 types of dippings. It was a seafood lovers delight. My friends enjoyed the seafood platter. As for desserts, we were served a Chocolate Cake. It was too dry and could have tasted better. Overall, we had a wonderful dining experience. The food, the drinks, the service and the ambience was good. Very soon, Joey’s will be opening a second outlet in Sheikh Zayed Road.